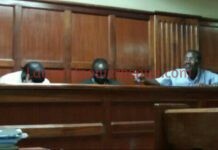 Bloggers Association of Kenya has moved to court seeking conservatory orders freezing the recent criminal proceedings against Embakasi East MP Paul Ongili. 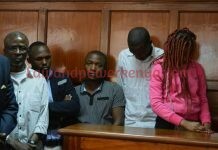 Under a certificate of urgency, the association questions the validity of sections 77 and 94 of the penal code under which Ongili alias Babu Owino has been charged under. The petitioner is most apprehensive that unless the order is issued, the petition will be rendered nugatory as the impugned trial would have concluded. 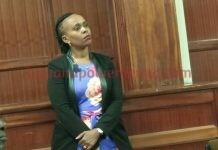 In her affidavit, the association’s General Manager Jane Gachango says that they impugn the validity of the two sections on grounds that they violate the right to freedom of expression. The petitioners fear that the sections above are a threat to free speech and media freedom because they could be used to charge bloggers, journalists and online activists. They fear that similar charges could be brought against bloggers, journalists and online activists. Ongili was charged under the above sections with the offence of subversion and offensive conduct conducive to breach of peace. The MP was charged with the offence in December last year. He is alleged to have uttered words to wit ” kama Gadaffi alitolewa na wananchi, kama Gbagbo alitolewa na wananchi, kama Yahya Jammeh alitolewa na wananchi, wewe ni nani? Wewe ni mtoto wa mbwa”. Words which we calculated to excite disaffection against the presidency. The MP is alleged to have uttered the words in Dagoretti North on 24 September 2017. He pleaded not guilty to the charges and was released on bond pending determination of the case. Section 77 of the penal code purposes to punish with a mandatory imprisonment for a term not exceeding seven years any words with a subversive intention whose scope extends to words that are deemed to be among others…. 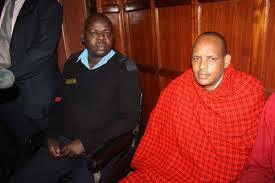 a) Prejudicial to public order, the security of Kenya or administration of justice. b) In defiance of or disobedience to the law and lawful authority. Section 94 criminalizes the expression in a public place or at a public gathering of threatening, abusive or insulting with intent to provoke breach of peace or whereby a breach of peace is likely. The Director of Public Prosecutions (DPP) and the Attorney General have been named as respondents while Paul Ongili alias Babu Owino and Article 19 of East Africa have been named as interested parties in the petition. The association argues that failure to issue the order would ultimately make the court’s final decision a mirage as there can be no use of a favourable determination of the petition, if the proceedings continue and the MP is convicted and jailed under the above sections while this petition is pending determination. We give you everything court related. Insights, news and facts. 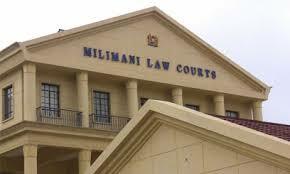 © Law and power Kenya. 2017. All rights reserved.